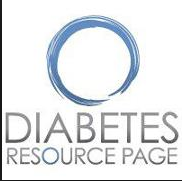 Last year I wrote, Diabetes Do’s & How-To’s, to give you very specific action-steps to live your healthiest life with diabetes. The book covers Food, Fitness, Medicine and Attitude. And, has 19 gorgeous cartoons by illustrator Haidee Merritt who’s lived with diabetes since she was two! Now I’m giving a special webinar with dLife so you can have several important steps to “health-up” regarding what you eat, weight control, checking blood sugar and staying emotionally strong to manage your diabetes day to day. Tune in next Monday, August 18th, at noon for the webinar. You’ll get great tips, your questions answered and a special one-time discount on the book. See you there and invite your friends and loved ones! 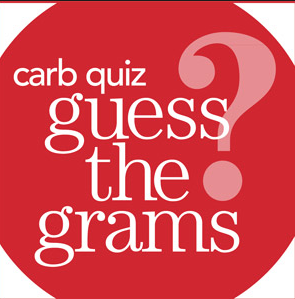 The great CDE, founder of Integrated Diabetes Services and author Gary Scheiner, and his fellow CDE and Director of Lifestyle and Nutrition, Jenny Smith, conducted a Carb Quiz in May. Below is part of the interview they conducted with three outstanding “carb-counters,” that may give you a few ideas to make counting carbs easier. Of course I no longer call it carb-counting, but carb-guessing. And I’m sure we can all relate to that! For more carb-guessing advice, click here. What are some of the tools you’ve used over the years to count carbs? Stephanie: I’m using measuring cups and a food scale at home to be as accurate as possible. At times I am tempted to just pour a cup of milk without using a measuring cup, but then I think about how well controlled my BG is because I do measure and this helps me continue to use tools. Lisa: I started by using measuring cups and a food scale. After a few years I learned about “carb factors” and this has been most helpful for more precise counting for the portions I want to eat. I use carb factors a lot for fruits and vegetables. I find when I use measuring tools at home it trains my eye to be aware of what a particular portion looks like and how much carb it may contain – it’s so helpful when I don’t have a label to read. When I’m eating out at a restaurant I look up information online or I use my Calorie King book as a reference. Stephen: There was a learning curve –some foods don’t “look” like they would have sugar! I had to remember there was carb in milk! I downloaded Gary’s book – Think Like a Pancreas and read it in one night and realized I needed help. I use Calorie King and I look up glycemic index as well as information when I’m going to go out to eat. 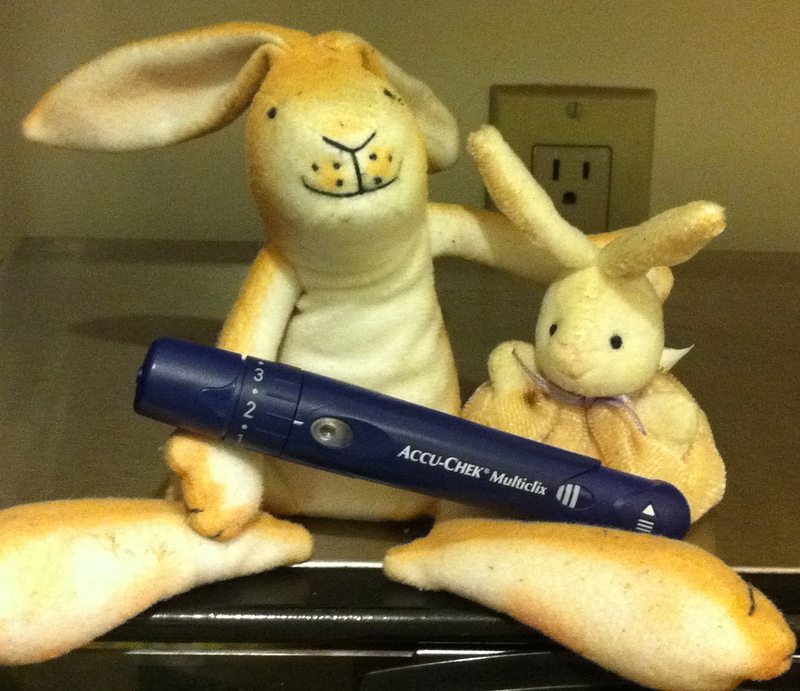 I do use measuring cups and labels, as well as the estimation tricks I’ve learned from working with Integrated Diabetes Services. I’m the primary cook at home so it’s easier to count when you know what has gone into a dish you’ve prepared. What has worked the best for you to ensure accuracy? S: Measuring is my best tool. I feel measuring at home has helped me count carbs more accurately when I don’t have a label or the measuring tools to use – such as in the College dining hall. I have learned to eyeball a portion of carb when eating out by weighing fruits and other carbs at home. I also tend to look info up before going out so I have a more specific count than a simple guess, especially if it is a restaurant that I’ve never been to before. L: I use eyeball portions when I have to “guess”. I often refer to the size of a tennis ball because I know about how much this is as a measured portion and then I can more accurately account for the carbs when I have to guess. My best time saving trick at home is to use a measured ladle for soups/casseroles (½ cup per ladle), and I use drinking glasses with a line that equates to a specific portion (pouring up to this line on the glass is equal to 1 cup). Stephen: I feel the best trick is to trust my gut feeling. Calorie King may say “this is 15g carb”, but then I’ll consider my past experience with the food and what the response was on my CGM. I may adjust up or down by 2-5g based on previous experience. The use of measuring cups and labels are also major players in ensuring I learn how to count – it helps when I have to guess something that may not have a label. Do you take into account fiber/glycemic index/glycemic load? S: I do consider fiber – I subtract it all off the carb count. If it is a lower glycemic index food, I may deduct a bit off the suggested bolus. L: I don’t use anything scientific, but I keep these things in mind when meal planning and counting carbs to evaluate the effect after meals. Stephen: I do consider fiber – I subtract all of it off of the carb count. But, I also take into account the kind of food it is or the glycemic index of the food– sometimes I only subtract ½ the fiber count (I use this for things like granola bars because of all the added sugar, I’ve found that I really can’t subtract all the fiber noted). Do you feel the use of “smart” pump features helps you cover your meals better? S: I haven’t been using square/dual bolus (no one has really taught me what to use them for) – but I do use the temporary basal feature for my lacrosse practice as well as running. I feel it’s the accuracy in counting carbs that makes the major difference in post meal control. L: I like to use these when grazing or when eating out at a buffet – I don’t think I use this often enough and when I look back at my pump records, I see I could probably use it for more foods/meals. It’s a question I should ask my nurse educator about so I can use this more effectively. Since I do a good job with precise carb counting already, I assume proper use of the combo bolus would improve my BGs even more! Stephen: I have no experience with the smart features on the pump, but I would assume that it’s accuracy in counting as well as portion estimation that makes the most difference. Do you have any words of wisdom to help everyone become a king or queen of carb counting? My best advice – routine. If you eat the same basic foods most of the time, you’ll get to know how they affect your blood sugar.